This section lists differences and problems with the port(s) that don’t fit into other categories, as well as discusses several myths around the (supposed) SA1 flaws. 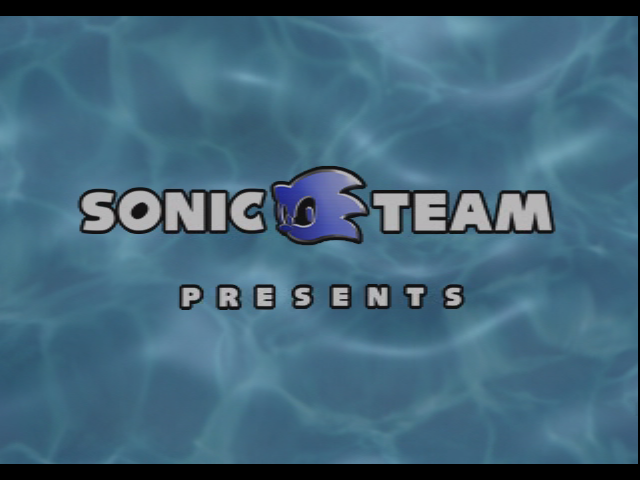 The Dreamcast version had an animated Sonic Team logo with an ocean background (click the image to get an animated gif). 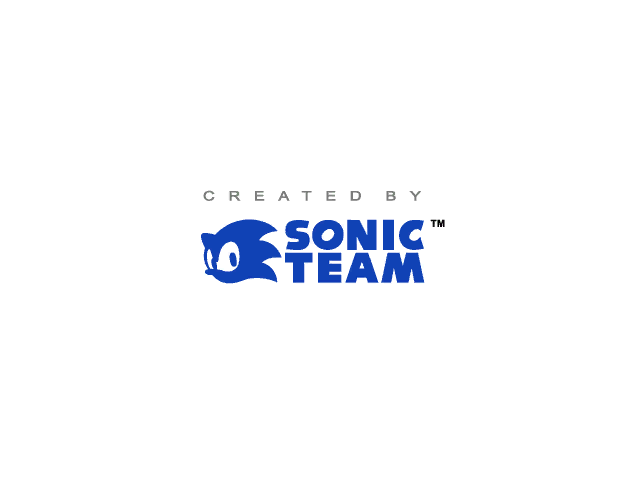 In SADX it was replaced with a static Sonic Team logo. Not a big deal, but how is this better than the original? 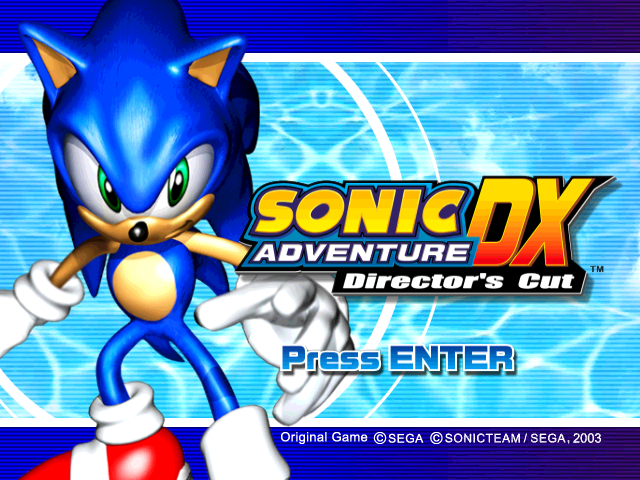 SADX replaced the ripple effect with a scrolling background, added a render of Sonic and made the logo more generic. You can still see the original title screen in nextgen console ports if you don’t buy the “DX” DLC. Whether the original or the DX title screen is better is a matter of opinion, but it’s pretty obvious that the DX logo looks a lot more basic. Some might argue it’s a bit too cheap for a “director’s cut”. 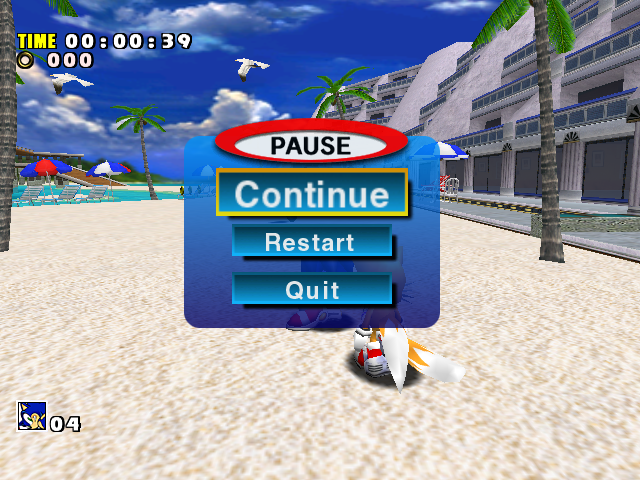 The Pause menu received a slight redesign in SADX. Now it tells you which mode you’re playing (Adventure, Trial or Mission), a somewhat useless feature, though not a downgrade if you don’t mind missing shadows and the awkward look with a smaller font. 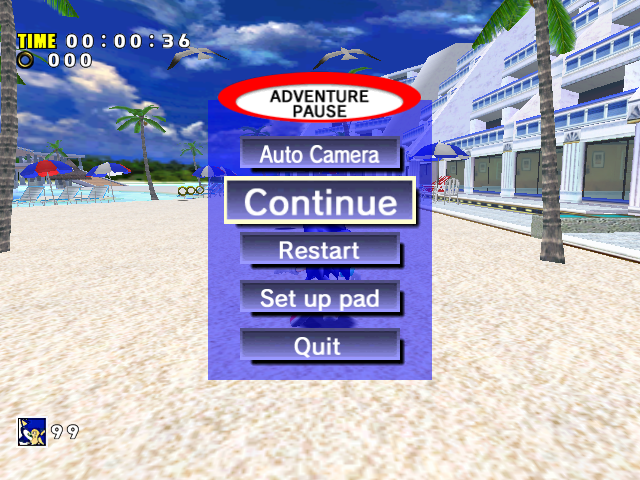 SADX also adds Adventure Field maps and an option to switch between automatic and manual camera, both of which are nice additions. However, the visual changes are somewhat less impressive. The rounded corners of the background rectangle were removed, and gradients everywhere except the buttons were disabled. The buttons were also made blue instead of teal. 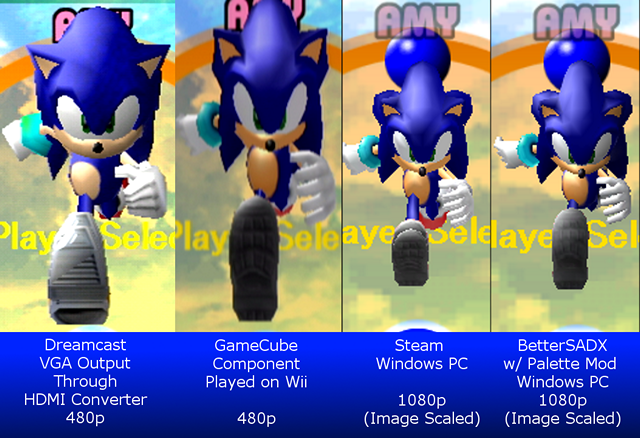 Both versions look kind of generic, but is the SADX one really better? 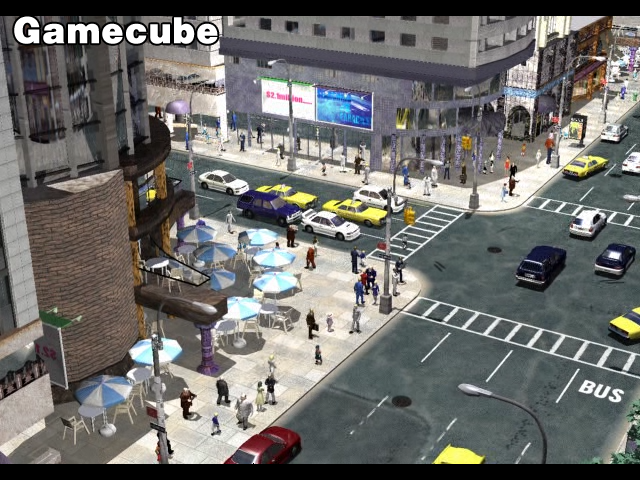 The winner here is the Gamecube version, while the Dreamcast version looks worse or close enough depending on the scene. 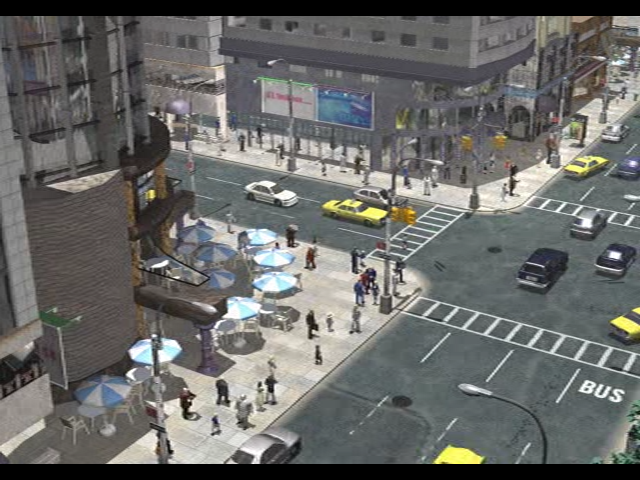 The 2004 PC version looks worse than Gamecube, sometimes even worse than Dreamcast, and the Steam/nextgen console ports have the worst looking intro movie out of all ports. 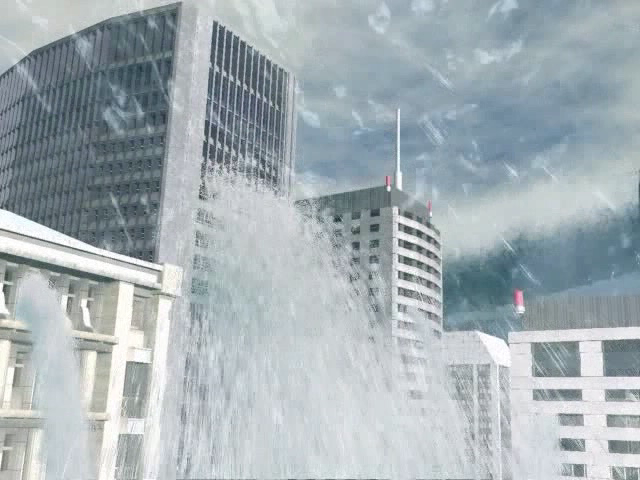 Let’s not forget that the Steam/nextgen console ports also have the lower quality FMV cutscenes from the Dreamcast version, even though the higher quality ones from the 2004 PC port were already available. The nextgen console ports have an intro movie featuring the “original” SA1 logo. 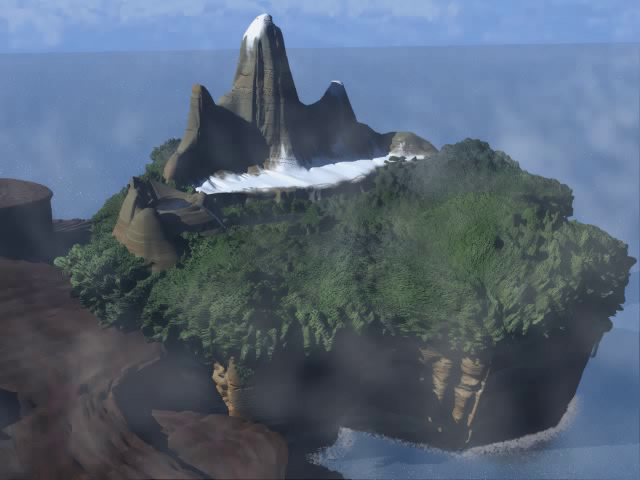 This would’ve been a nice homage to the original game (if we forget for a moment that those ports try to fool you into thinking they ARE the original game), but the animation for the logo transition lacks some effects and isn’t very faithful to the original. Although the logo itself looks clearer in the new intro, the original intro has a better animation. In addition, the nextgen console intro is slightly messed up – when the letters zoom out, the image is cut off on the right, which makes the letters C and E look strange. 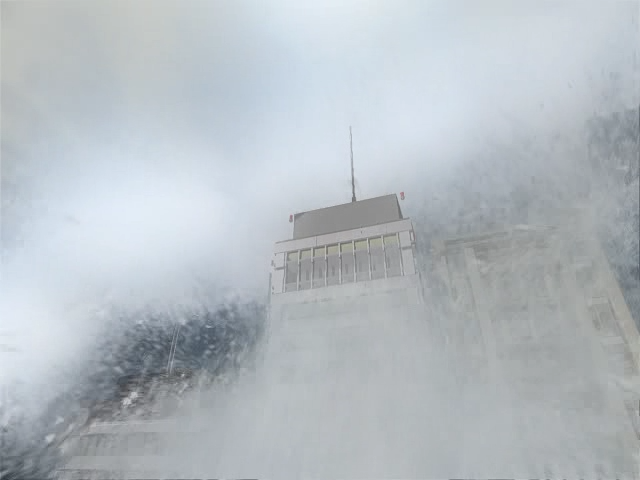 A closer look at the intro movie (props to Speeps and McAleeCh for discovering this) reveals some interesting details. It appears that, despite the higher overall quality, the intro movie in all ports is based on an earlier, unfinished version of the video similar to the intro used in a beta version of Sonic Adventure known as the “Autodemo” prototype. The SADX intro has more in common with the Autodemo than the final Dreamcast intro, which has different details and appears more complete overall. This post by McAleeCh documents the process of recreating the SA1 intro in higher quality from several sources, and is great read if you’re interested in detailed differences between various versions of the intro. For now, however, let’s focus on the most noticeable parts. With all the above examples there’s little doubt that the SADX intro is based on an unfinished version of the final game’s intro. 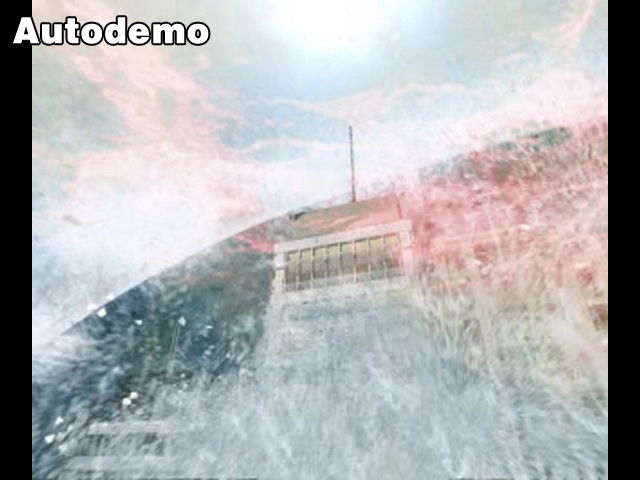 Thankfully it isn’t an exact copy of the Autodemo’s intro. 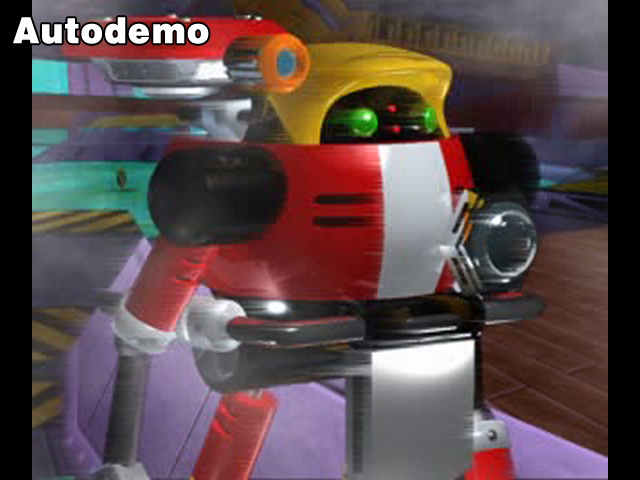 The Autodemo’s intro is 320×240 stretched to 576×480 with black bars on each side to make it 640×480, so at least they had courtesy to use a higher quality source for the SADX intro. 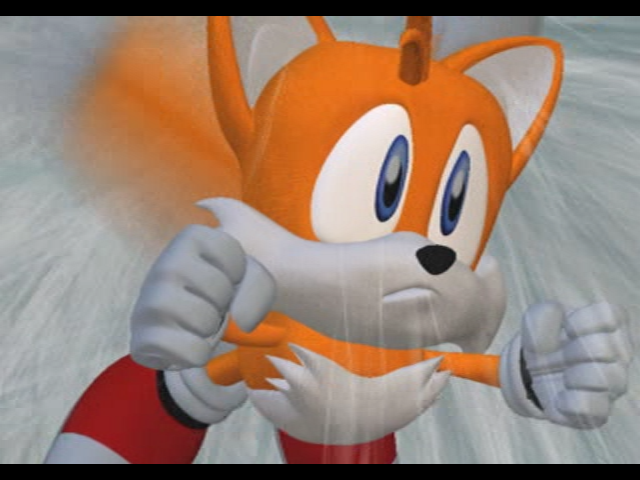 Another thing about SADX that feels unfinished is the FMV skip feature. 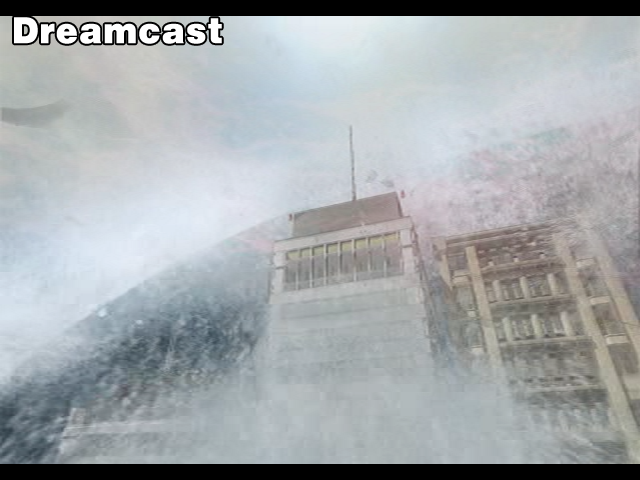 On the Dreamcast you could only skip the Sonic Team logo and the intro movie, which is somewhat annoying. 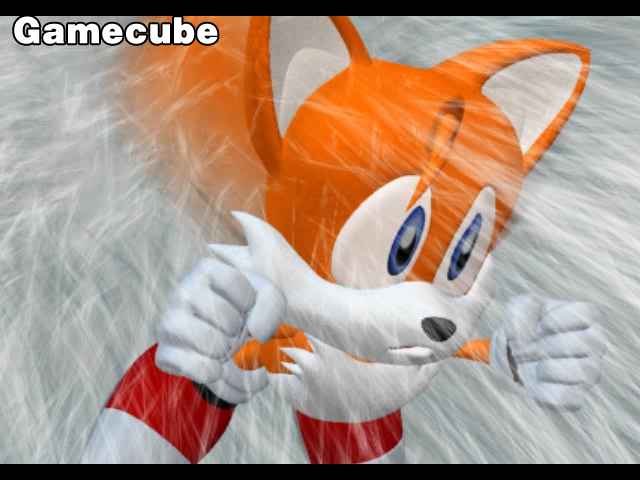 In SADX you can skip all videos by pressing Start or A, which is nice, but unlike the original game the skipped videos don’t fade out – instead they just cut immediately. Interestingly SADX does have a system for fading out videos, which is used on all videos except the intro movie (where it’s deliberately broken as the fades are built into the video file itself). This system could’ve been used easily to fade out videos when they’re skipped, but for some reason it isn’t implemented. Minor point, but it’s just another example of where the original game did better than the poorly executed SADX “improvements”. Note: There’ve been claims that the subtitle font color is inaccurate on Dreamcast emulators, and that the font is supposed to be white on real hardware. This has been proven false – the font is not white on the Dreamcast, it uses a subtle dark gradient and is slightly transparent. 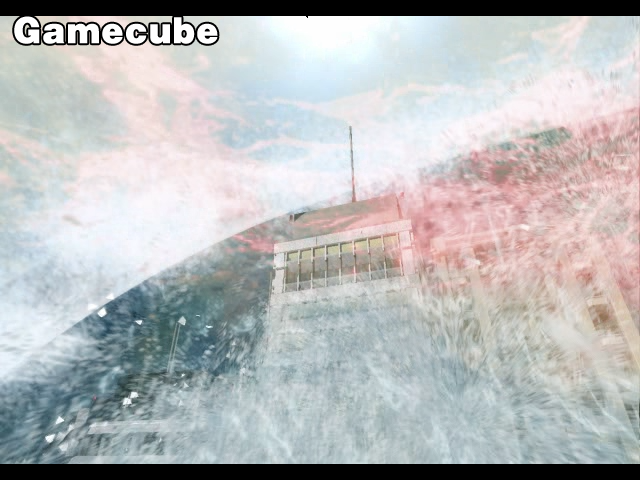 Note how the Gamecube version’s text looks a bit more washed out even though it’s supposedly the same font. It appears to have some kind of smoothing or texture filtering applied. It’s either an aspect ratio artifact, or it’s using font smoothing like in the PC version. More on that below. Disabling this feature made the subtitles look a lot better, even with the original SADX PC font! 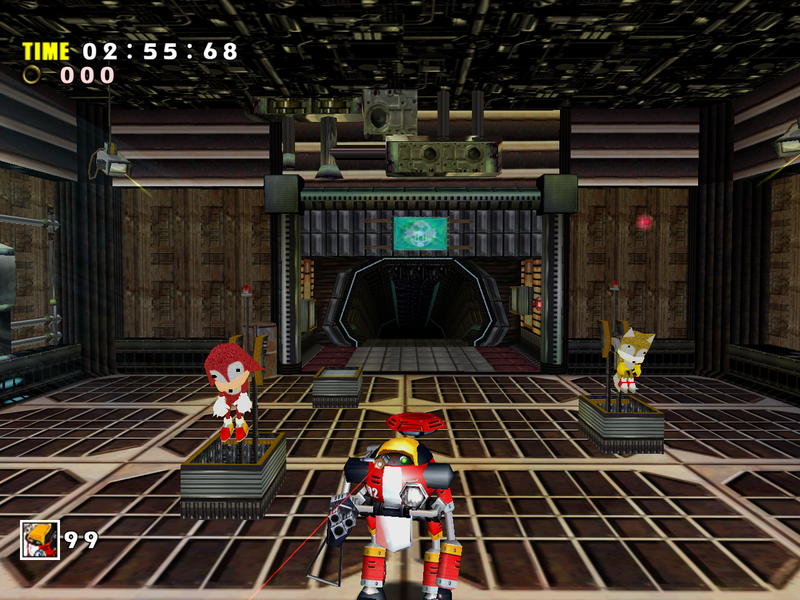 Here’s a minor, but interesting difference: all lines, such as Gamma’s laser scope or Big’s fishing line, are thinner in SADX. Is SA1 a barely playable buggy mess? Yes and no. For many years Sonic Adventure has had the reputation of a buggy game. There are many issues stemming from the game’s wonky collision system and weird camera behavior, which was common for games at the time. Yes, it is true that landing between platforms closely stuck together or spindash spamming into a wall can sometimes make Sonic clip through walls or fall through the floor. 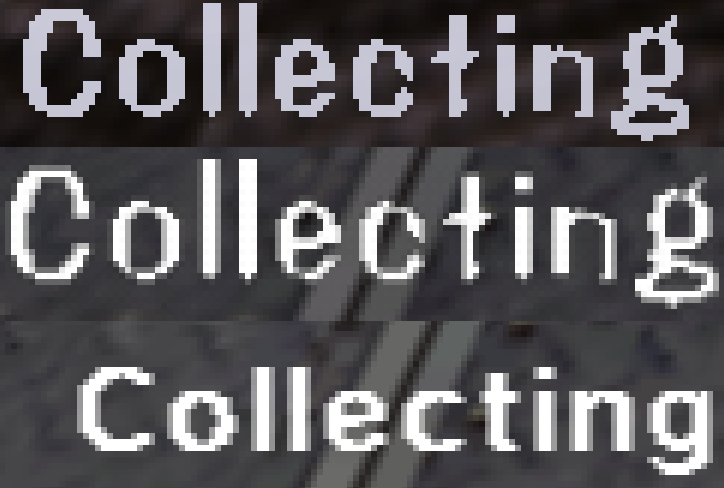 While these are definitely annoying, is Sonic Adventure almost unplayable because of such issues? No, not really. SA1 doesn’t have nearly as many game-breaking bugs as other supposedly less buggy games it sometimes gets compared with – such as Super Mario 64 or Ocarina of Time. For example, there is a documented bug in SA1 that corrupts save files – getting the Crystal Ring upgrade in Final Story before fighting Perfect Chaos. With the game’s story taken into account, it’s a rather obscure bug that isn’t likely to happen during a regular playthrough. 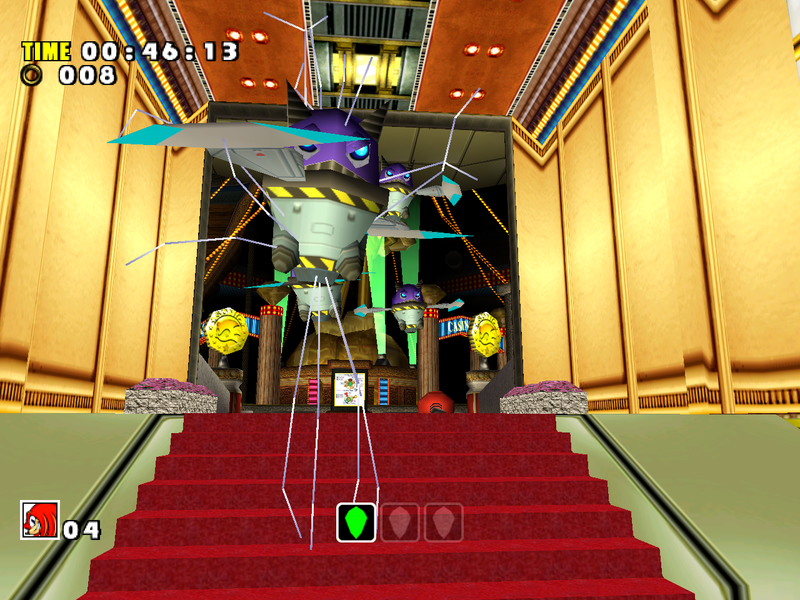 Other savegame corruptions may happen after glitching the characters into levels they don’t visit normally, such as Amy in Casinopolis. These glitches require fighting the game’s collision system and aren’t very easy to perform. They are unlikely to occur in regular gameplay. Also, SA1 has no known bugs that interfere with gameplay in a fundamental way. The worst outcome of a gameplay bug in SA1 is an accidental death of the character. 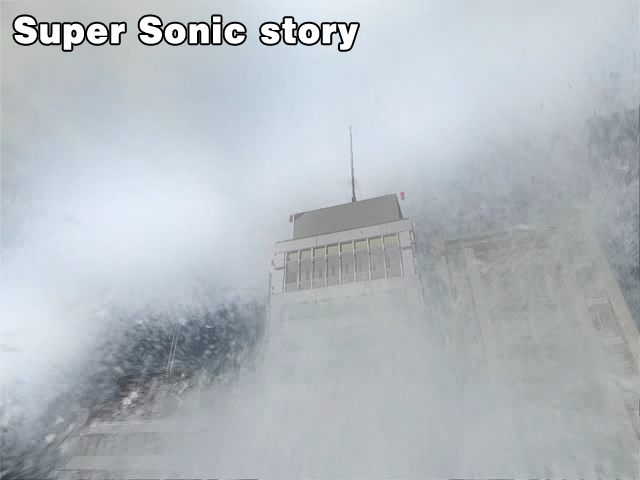 Sonic falling to his death on the first loop in Emerald Coast because the player didn’t hold forward is annoying, but compare that to the “Reverse Bottle Adventure” in Zelda or the glitch in Super Mario 64 that lets you skip through the whole game and beat it with 0 stars. While Super Mario 64 is a 1996 game, Majora’s Mask came out almost 2 years after the original Japanese release of SA1. In reality, all of these games are old and buggy, but SA1 is definitely not among the buggiest. On top of that, SA1’s reputation has suffered a lot from misrepresentation by bloggers, youtubers and incompetent game journalists that either fail to do their research or just don’t care whether the issue really exists. Many of SA1 criticisms are fair. However, as more and more people can’t play the authentic version of the game on the Dreamcast, problems with Dreamcast emulators and pirated game rips are portrayed as inherent issues with the original game that SADX supposedly “fixed”. Some of such glitches are discussed below. Let’s talk about the controls too, since there seem to be a lot of myths and confusion about them. 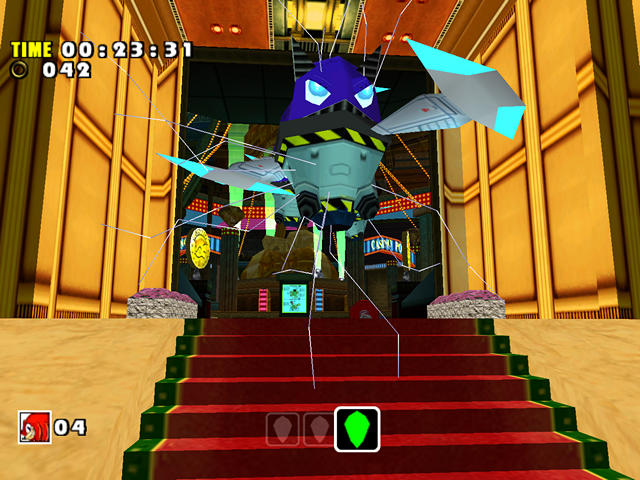 The controls in the original game were optimized for the Dreamcast controller. You could tilt the analog stick slightly to make Sonic walk slowly, and he would walk faster the farther you pushed the analog stick. While this is still present in the ports, the analog sensitivity is a bit screwed (in the PC port at least), and depending on the controller the range between slow walking and running at full speed can be very short. In the PC version it’s fixable with SonicFreak94’s Input Mod. While this isn’t a major issue, it might affect people’s opinion on controls in this game because it messes up the already floaty controls of the original. Some people say it’s impossible to run in a straight line in the Dreamcast game because it constantly tilts the analog controls to the left or right. This is a common myth caused by emulation inaccuracies – it doesn’t happen on actual hardware (but see the note below regarding third-party controllers). 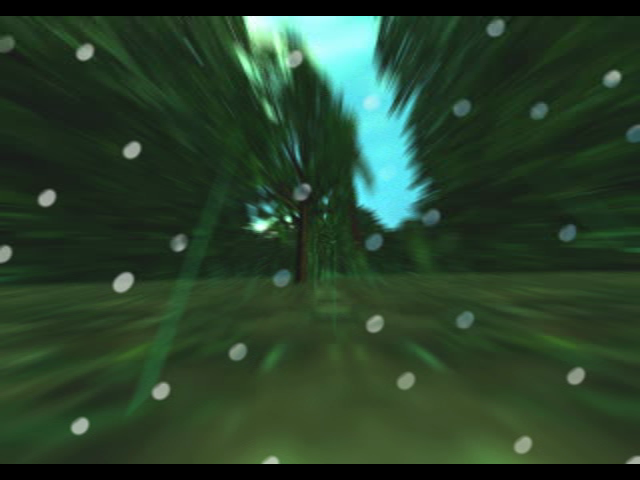 The reason this happens on emulators is that the Dreamcast controller has a non-standard deadzone that the Dreamcast version of the game compensates for. More information here. 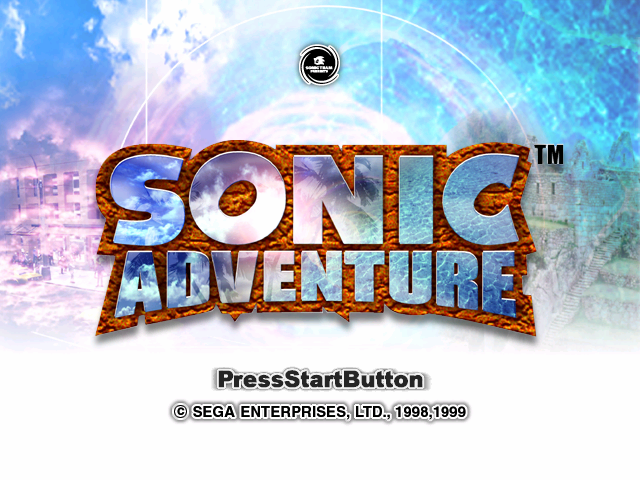 A less common complaint about the Dreamcast version is that you can move at insane speeds by steering the analog stick diagonally while jumping – this is also caused by the emulation issue mentioned above or by using third-party controllers. Notice how it’s very easy to slip to the side slightly while holding up or down. The Dreamcast controller’s analog stick is very sensitive to allow precise movement. Another characteristic trait of the Dreamcast controller is a diagonal movement limit – so when you rotate the stick, the shape the cursor follows is a circle rather than a square. Both of the above things are taken into account in Dreamcast versions of SA1 and SA2. These games expect some analog “noise” that comes from the player holding the stick in a straight direction, and compensate for it so that you can run in a straight line when holding the stick all the way up/down while still having the benefits of more precise movement at slower speeds. The above video demonstrates input from another Dreamcast controller that looks identical to the original, but this one was made by a third party. This is also how most cheaper controllers behave on PC. The deadzone in this controller is more stiff, which removes the jittering “noise” while holding the stick in a straight direction, and there is no “rounded” limit to diagonal axes like in the original controller. 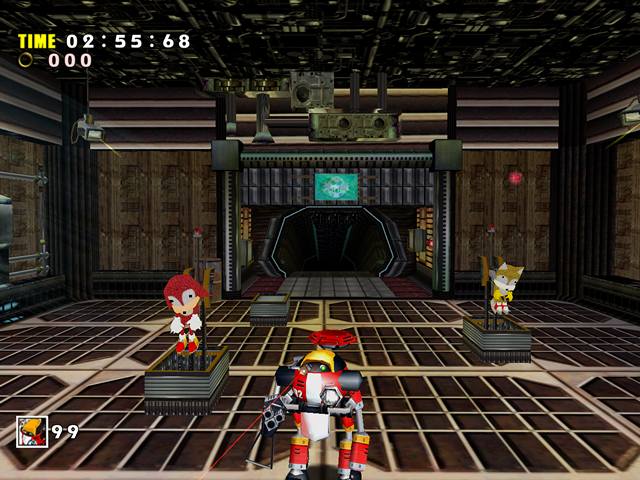 The first deadzone difference makes Sonic unable to run in a straight line in SA1 and SA2, and the second difference makes it possible to travel at much higher speed in SA1 while jumping and holding down the analog stick diagonally. 1. An emulated version of the game on PC, which is still optimized for the original Dreamcast controller rather than third-party controllers or the keyboard. The emulators don’t remove the game’s compensation for analog “noise” of the original controller, and they don’t add a limit for diagonal axes in SA1 and SA2, which the original controller had. If you connect the original Dreamcast controller to your PC, the problems go away. 2. A third-party Dreamcast controller that has a less sensitive deadzone and/or no diagonal axis limit, which causes problems in the Dreamcast game similar to those experienced on an emulator with a keyboard/non-Dreamcast controller. To sum it up, these problems do NOT happen when original hardware is used. 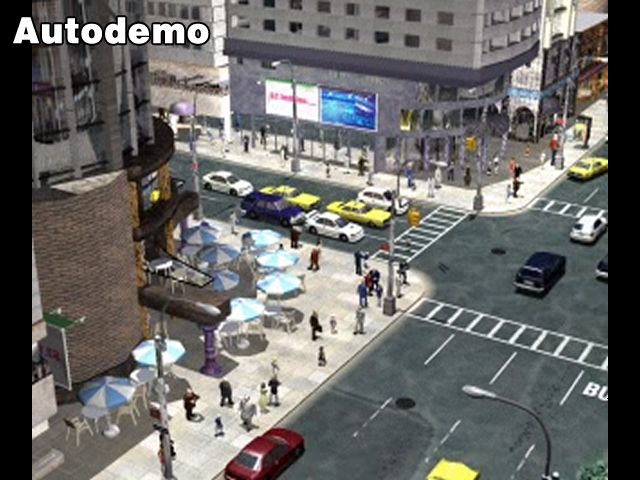 However, they MAY happen on emulators or on a real Dreamcast when using third-party Dreamcast controllers. One of the fake “issues” that gets brought up often is the glitch that happens in Sonic’s story after obtaining the Light Speed Shoes and makes him unable to get out of the sewers. 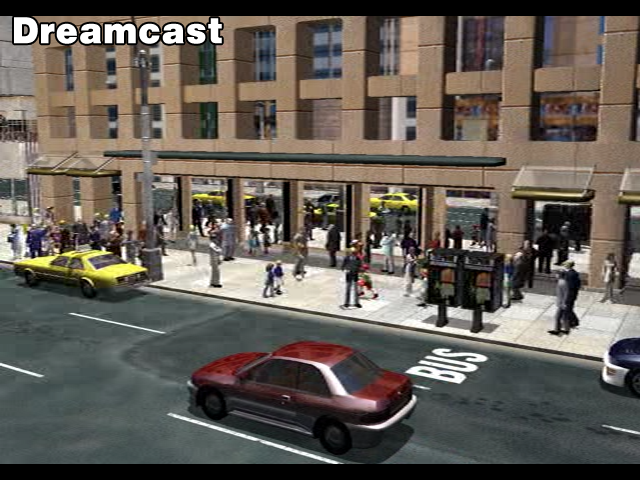 Like the controls issue, it can happen on a real Dreamcast. There are workarounds but the issue is generally quite frustrating. However, it has nothing to do with the Dreamcast version of the game per se. According to inolen, the developer of the redream emulator, there is a CPU emulation issue that can cause this glitch on Dreamcast emulators. The latest version of Demul isn’t affected. The glitch can happen on NullDC, reicast and redream (it may have been fixed in redream as of October 2018). 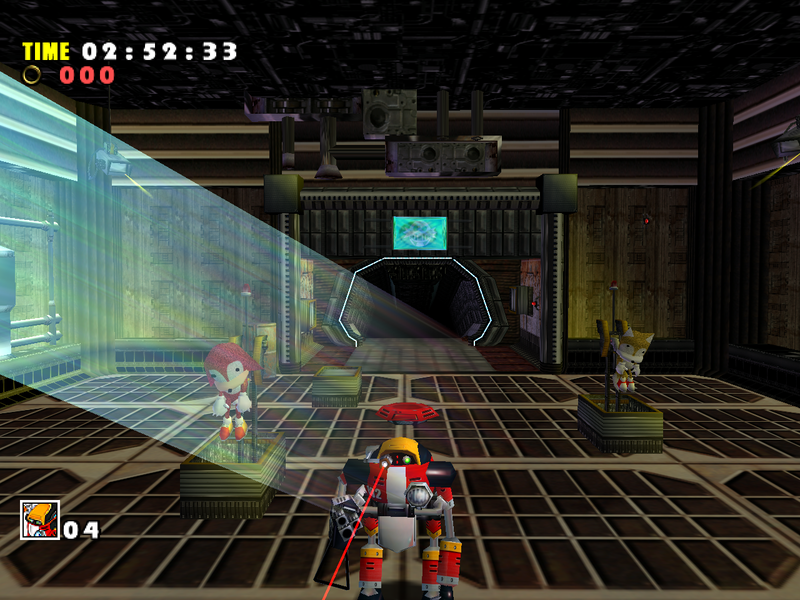 The original Dreamcast version of SA1 came on a GD-ROM disc, which could hold up to 1GB of data. Pirates have exploited the Dreamcast’s ability to read ordinary CD-ROM discs and made “selfboot” packages that can be burned to ordinary CD-Rs and played on the Dreamcast. Such packages also removed regional limitations so you could play the game from any region on any Dreamcast console. Preparing a selfboot package involves hacking the original binary files to allow the game to boot from a CD-R. Many older scene rips of Sonic Adventure have a patched 1st_read.bin that causes the infamous sewer glitch. 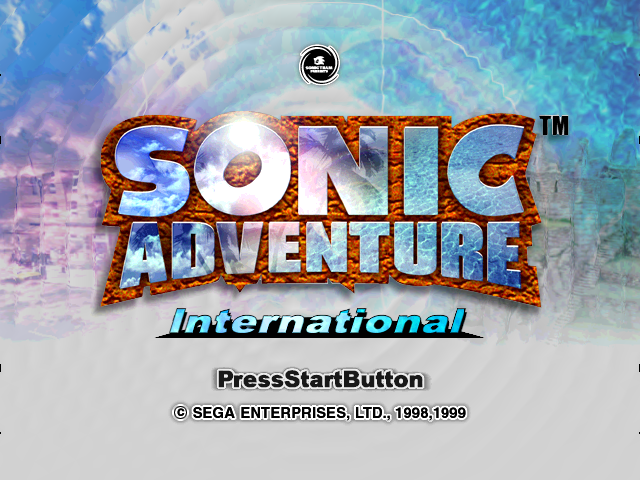 If you’re playing the game on a real Dreamcast, use the original GD-ROM version of the game or a good rip, such as the DCRES rip of Sonic Adventure International. 2) Use GDI rips (which are made from original GD-ROMs), not CDI rips meant for burning.